The 60s were a tumultuous decade, and 1964 was emblematic of that decade. Arthur Ashe won the US Open, and Martin Luther King, Jr. was awarded the Nobel Prize for peace. The Beatles came to America and established a beachhead for the “British invasion.” Lyndon Johnson, a Southern Democrat, having become President when John Kennedy was assassinated in November of 1963, showed great political courage and legislative acumen by getting landmark civil rights laws passed in Congress. On June 19th the US Senate passed the Civil Rights Act of 1964. Two days later the need for that legislation became clear when three civil rights workers disappeared under suspicious circumstances in Mississippi. Two of the workers were white and from the north, Michael Schwerner and Andrew Goodman. The third, James Chaney, was black and from Mississippi. In the heady days of the spring of ’64 with the civil rights bills moving through Congress, the Congress of Racial Equality (CORE) announced an initiative, the Mississippi Summer Project. It was to participate in this project that Schwerner and Goodman had traveled to Mississippi. There, they joined-up with Chaney and other local civil rights workers. There were those in Mississippi who were dead set (literally) against the civil rights initiatives or any of the changes to the status quo that were portended by the civil rights legislation. Foremost in this opposition were the White Knights of the Ku Klux Klan of Mississippi. On June 16th the Klan’s first effort to eliminate Schwerner failed. A group of klansmen went to Mt Zion Church, a church with a black congregation in the rural community of Longdale. The klansmen expected Schwerner to attend a meeting at the church. Some of the klansmen frustrated by Schwerner not being at the church beat some of the church members and burned the church to the ground. Schwerner, Chaney and Goodman were at a meeting in Ohio to train recruits for the Mississippi Summer Project when they heard about the events at Mt Zion Church. On June 20th, the 3 drove to the CORE office in Meridian, Mississippi. After spending the night in Meridian, they drove the CORE station wagon to the ruins of the Mt Zion Church and spoke to some of the members of the congregation. The 3 civil rights workers were warned that members of the Klan were looking for them. Longdale was in Neshoba County, known to be a hostile area for civil rights workers. The sheriff of the county, Lawrence Rainey, and his deputy Cecil Price, were both members of the Klan, and they had reputations for being tough on blacks. At about 3pm the 3 workers began their trip back to the relative safety of the Meridian office. The route they chose on Hwy 16 would take them through the town of Philadelphia, the Neshoba County seat. (This was a longer route, but it was a black-topped, relatively well-traveled road.) As fate would have it, Deputy Sheriff Price was heading the opposite direction. The deputy spotted the well-known CORE station wagon. He did a U-turn and stopped the wagon. Price arrested the 3, allegedly for suspicion of having been involved in the arson of the church and lodged them in the county jail. Deputy Price then met with the local Klan kleagle (recruiter), Edgar Ray Killen, to tell him of the arrest of Schwerner and the other 2 workers. They then planned their Midsummer’s Night tragic conspiracy. Shortly after 10pm Deputy Price released Schwerner, Chaney and Goodman. They departed in the station wagon with Chaney driving, and Price followed them as they drove southeast on Hwy 19 towards Meridian. Price then returned to Philadelphia. After returning to Philadelphia, Deputy Price again departed in pursuit of the station wagon. Two other cars full of klansmen joined in the pursuit. A short high-speed chase ensued, but the station wagon was stopped and the 3 civil rights workers surrendered and were placed in Price’s cruiser. Then the 3 car procession, Price and the 2 klansmen’s cars, drove down an unmarked dirt road. There is contradictory evidence as the whether the workers were beaten, but it is known that a dishonorably discharged Marine, Wayne Roberts, fatally shot Schwerner, then Goodman, then Chaney, all at close range. The bodies of the 3 men were taken to an earthen dam site on the Old Jolly Farm owned by Philadelphia businessman and member of the Klan, Olen Burridge. Apparently at a Klan meeting, Burridge had previously offered the use of his dam as a burial site for eliminated civil rights workers. The following morning the phone rang at the FBI Resident Agency in Meridian. (Mississippi at the time was covered by the FBI Field office in New Orleans.) The Resident Agent, John Procter was apprised of the disappearance of the civil rights workers. Special Agent Procter was originally from Alabama and had developed good relationships with people from different walks of life in his territory including people in law enforcement. John Doar, an attorney, was the US Department of Justice’s point-man in Mississippi. He had also been apprised of the disappearance. Doar characterized the disappearance as a possible kidnapping, thus, giving the FBI immediate jurisdiction to investigate. Within hours, Proctor was in Neshoba County interviewing Blacks, community leaders, Sheriff Rainey and Deputy Price. The next day, June 23rd, Procter was joined by ten more agents. J. Edgar Hoover, the Director of the FBI was ordered by President Johnson, with whom he had a close relationship, to make the investigation a priority. (Director Hoover, who had been less than sympathetic towards the civil rights movement, was none the less all in on this investigation.) 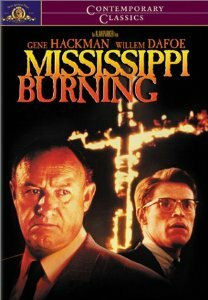 The case was designated a bureau “Special” and titled Mississippi Burning – the shortened title MIBURN. Joseph Sullivan, the FBI’s Major Case Inspector was dispatched to Mississippi. Later Director Hoover flew to Mississippi to announce the FBI would open a Field Office in Jackson, Mississippi. Inspector Sullivan realized early on that he could get useful information from local children. He made it a habit to carry candy with him. He would try to engage children in conversations, but not anywhere where they could be seen talking by disapproving adults. Additional agents were sent to help with the investigation. Cartha “Deke” DeLoach, an assistant director of the FBI, described those agents, “Many of them were big, bruising men, highly trained in the tactics of interrogation.” (In other words they knew how to be very persuasive.) Unofficial reports indicated there were occasions when unorthodox means were used to obtain information. Known Klan members would be driven in bureau cars in public places to give the appearance they were cooperating. There is the possibly apocryphal story that a Mafia capo, Gregory Scarpa Sr., who had a special relationship w/ the FBI. According to the story, Scarpa was brought to Mississippi. A Philadelphia appliance dealer and Klan member was identified as a weak link. He was “kidnapped” and threatened by Scarpa. According to Scarpa, he put “a gun in his mouth.” As a result the appliance dealer gave-up the location of the bodies. In any case, 44 days after the disappearance, the bodies were exhumed from under 12’ of dirt in an earthen dam on Olen Burridge’s farm. The FBI now had the proof that Schwerner, Goodman and Chaney were murdered. (Without the bodies the case may never have been solved like the disappearance of Jimmy Hoffa.) Now a case had to be made as to who did it. It would be informants (really cooperating witnesses, technically informants are never identified) from within the Klan that would make the case. Information from a Klan member at the periphery of the conspiracy enabled the FBI to identify the more central figures. One Klan member who John Procter worked hard to “flip” was James Jordan. Over the course of five increasingly “rough” interviews, Jordan came to see that cooperating and testifying against other Klan conspirators was his best bet to avoid a long prison term. Jordan had been present when the civil rights workers were murdered and would become a key witness at the trial. In February 1965 federal indictments were obtained charging 19 klansmen with conspiracy to deprive Michael Schwerner, Andrew Goodman and James Chaney of their civil rights under color of law. In 1988 a movie based on the civil rights workers disappearance and the FBI investigation premiered and was aptly titled “Mississippi Burning.” The two main characters were loosely based on FBI agents John Proctor and Joseph Sullivan. The movie was an artistic triumph and was nominated for 7 Academy Awards, including best picture, best director, best actor (Gene Hackman portraying a character similar to John Proctor) and best supporting actress. It won only one Oscar for best cinematography. The movie was roundly criticized for having fictionalized history. One critic referred to the film as a “cinematic lynching of the truth.” The overriding theme of the criticism seemed to be that the critics could not accept the premise that agents of Hoover’s FBI could be heroes in a civil rights investigation. The movie did take some dramatic license with the facts as most movies based on true stories do. (Otherwise they would be documentaries.) The movie used a variation of the story about kidnapping the klansman and threatening him. In the movie it’s even more dramatic, instead of a Mafia capo, a black agent wielding a straight edge razor threatens to castrate the hapless klansman. The movie was far closer to the facts than the critics knew or were willing to admit. But more importantly the case did not signal the end of the bureau’s efforts to enforce the civil rights laws in the South. The battle was joined and over the next few years the Klan was destroyed in Mississippi and elsewhere. Michael Schwerner, Andrew Goodman and James Chaney did not die in vain. I doubt that in 1964 this case would have been pursued with the resources and tenacity that it was had 2 of the murdered civil right workers not been white. The case was solved and it changed history for the better. After the indictments were obtained the trial judge, US District Court Judge William H. Cox, a segregationist, dismissed the indictments against all the defendants except Sheriff Rainey and Deputy Price. The judge found that only Rainey and Price were state agents and thus could act under color of state law. The US Supreme Court reversed Judge Cox and ruled it was sufficient that any participants in the conspiracy were agents for the state for the conspiracy and all the participants to have acted under color of law (US v. Cecil Price; et al). The trial occurred in October 1967. The lead prosecutor for US was John Doar, who had been involved in the case since the beginning. Seven of the defendants were convicted. The Imperial Wizard, Sam Bowers and the trigger-man, Wayne Roberts, were sentenced to 10 years. Deputy Sheriff Cecil Price was sentenced to 6 years. Posted: 5/23/14 at 4:02 PM under Uncategorized.